Malaysian Trade Union Congress (MTUC) is most concerned about the serious implication of Investor State Dispute Settlement (ISDS) clauses and provisions in the Trans-Pacific Partnership Agreement (TPPA) and other such agreements and treaties that Malaysia signs. There is a serious concern that once Malaysia is bound by such ISDS clauses, any foreign investor will have the ability to prevent Malaysia from improving the rights and conditions of workers in Malaysia. The ISDS clause empowers foreign investors, which also includes shareholders, to commence legal action against Malaysia if it does anything, even by law or policy, that will result in business having to expend more monies or has an effect on its profits. The government must guarantee workers that signing agreements with ISDS clauses will not result in a stagnation of Malaysian minimum wage rates. The worry is that some foreign investor may take Malaysia to court in reliance of an ISDS clause if the government increases minimum wages. This is exactly what happened when the Veolia group, a French multinational, sued the Egyptian government because of a rise in the monthly minimum wage. That company used the ISDS provisions in an investment treaty between France and Egypt. Will laws and policies in the future that will require employer to make higher contributions to employment provident funds, social security or some retirement scheme result in some foreign investor taking action against Malaysia in reliance of these ISDS clauses? Will the same also happen if Malaysia requires employers to improve the standard of safety and health in the workplace – providing better protection for workmen? Will Malaysia be able to in the future pass a law requiring private sector employers to also pay Cost of Living Allowances (COLA) to workers just like what public sector workers are getting now? MTUC have been struggling so that workers in Malaysia, save migrant workers, would be able to enjoy secure regular employment until retirement, and that all forms of precarious employment like short term contractual employment and the contractor for labour system be abolished. Regular employment is essential for the long term security, welfare and wellbeing of the worker and their families. Now, with the ISDS clauses in place, MTUC is most concerned that the government will be ‘hand-tied’ with fear of potential million dollar legal action by some foreign investor if it tries to improve the condition of workers in Malaysia. 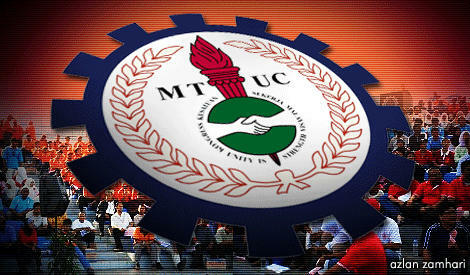 MTUC calls on the government to be transparent and disclose all agreements before signing for input from an agreement of MTUC, unions and workers. MTUC insist on a guarantee from the government that such ISDS provisions or agreements will not impact the future advancement of worker and trade union rights, and demand that Malaysia should not sign agreements that may have the effect of stagnating or eroding further worker rights in this country.